Poet and public figure, Vahan Tekeyan belonged to the surviving generation of the Armenian Genocide and during the last three decades of his life he influenced an entire generation. Tekeyan was born in Constantinople on January 21, 1878. He was the youngest of five children, fourteen years younger than his closest brother. His father passed away when he was eleven. He attended Nersesian, Berberian, and Getronagan schools, but did not finish his secondary schooling and was self-taught for the most part. He went to work with an insurance firm as a secretary at the age of sixteen. Two years later, in 1896, he was transferred to Liverpool, England, just before the massacres of Armenians in Constantinople ordered by Sultan Abdul Hamid II. In 1897 he was sent to Marseilles, where he stayed for four years, and then to Hamburg (Germany). In 1901 he published his first volume of poetry, Burdens, in Paris. In 1904 he was in Egypt and the following year he began publishing the literary monthly Shirag with Mikayel Gurjian (1878-1965). After the restoration of the Ottoman Constitution in 1908, Tekeyan returned to Constantinople and resumed publication of Shirag for a short while. He was elected a member of the National Church Council. In 1911 he visited Armenia for the first time for the election of Catholicos of All Armenians Gevorg V Sureniants. He published his second book, Miraculous Rebirth, in 1914, which was received with unanimous praise. It was on the eve of World War I, and Tekeyan would escape the fate of Armenian intellectuals during the genocide by chance. He was sent to Jerusalem to settle a church dispute as a representative of the Armenian National Assembly. At the outbreak of the war, he went to Cairo and followed the developments from there. Tekeyan had been originally a member of the Social Democrat Hunchakian Party, and after its split in 1896 he entered the Reorganized Hunchakian Party. He went back to Yerevan in 1919 to lead negotiations on behalf of the Armenian National Delegation headed by Boghos Nubar Pasha with representatives of the Republic of Armenia. Then he participated in the Armenian Congress held in Paris in the same year. He published his third book in 1919 (From Midnight to Dawn). The next year he returned to Constantinople after an absence of six years. In 1921 he was instrumental in the fusion of four parties that gave origin to the Democratic Liberal Party (Ramgavar Azadagan). Tekeyan became the editor of its organ, Joghovurti Tzayne, and in 1922, together with four other noted intellectuals (Gostan Zarian, Hagop Oshagan, Shahan Berberian, and Kegham Kavafian), founded the short-lived literary monthly Partzravank. From 1921-1922 he was also principal of Getronagan School. After the occupation of Constantinople by Kemalist forces, Tekeyan left the city, and went to Bulgaria, Greece, Egypt, and Syria to supervise Armenian refugee and orphan care. He was particularly helpful to one of those orphans, future Armenian American writer Leon Surmelian (1906-1998), and encouraged and collected his Armenian poetry, which he published in a book in 1924, Joyful Light. From 1926-1932 he became editor of Arev, his party’s publication in Cairo. He moved to Paris, where he published his fourth collection of poetry, Love (1933). After a stint at the Melkonian Educational Institution in 1935-1936, he became the founding editor of the daily Zartonk of Beirut in 1937. Then he returned to Cairo to resume editorship of Arev. 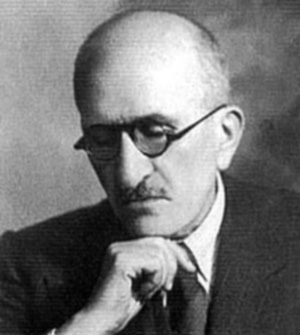 He published his last two books in 1943 (Song of Armenia) and 1944 (Odes). His poetry, be it lyrical, patriotic, or philosophical, would always reflect the sobriety of its author. By the time of his death, some of his poems had become classics, and had earned him the title of “Prince of Armenian poetry.” His literary style had already created a numerous following, which would be active for several decades after him. After a long life of service, Tekeyan died in Cairo on April 4, 1945. The Tekeyan Cultural Association, founded in 1947, bears his name.